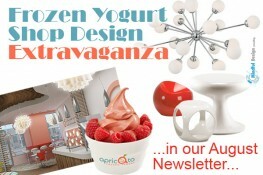 Las Vegas has always been a place of inspiration for designers and architects. It’s a place where creative ideas come into realization much faster and easier. 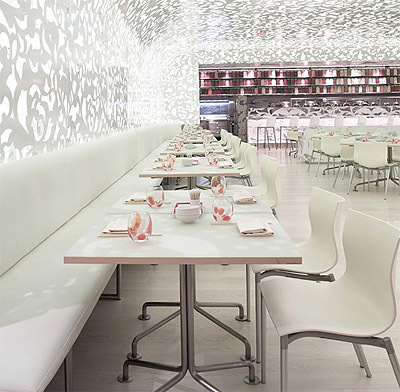 This modern Chinese restaurant called Beijing Noodle No. 9 located in a Caesars Palace hotel. 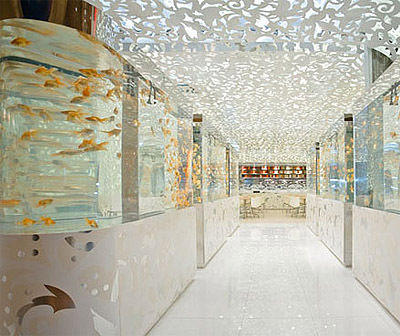 As you enter the restaurant, you will be met with a gallery of large aquariums filled up with gold fishe. 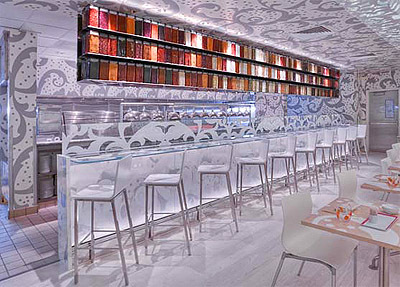 Further inside you’ll see an unusually light and delicate lacy interior created by Japanese design studio Design Spirits Company, Ltd. 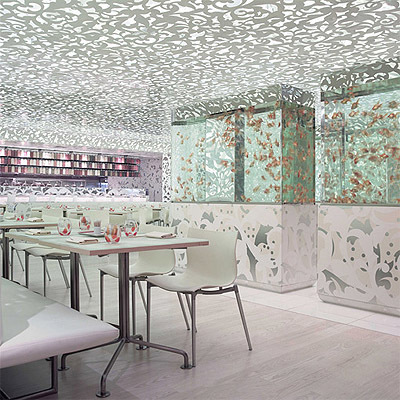 In this restaurant interior the number of elements of decor is minimal: only one backdrop pattern was used – floral patterns made of steel and painted white color. 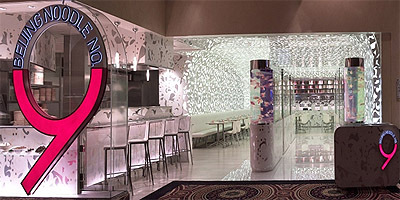 The main goal of the design team was to create an atmosphere of tranquility right at the center of busy and overstimulating Las Vegas. Incredible delicate shadows from the patterned walls and ceiling are falling onto the tables, chairs and pale flooring finishing the overall dreamy feel of this incredible restaurant. This interior fully supports the ongoing trend of white interiors we already wrote about in our past posts. Find out what to choose for your walls wallpaper or paint HERE.